It’s almost time to celebrate the 100 days of School! What types of festivities are you planning for this special event? 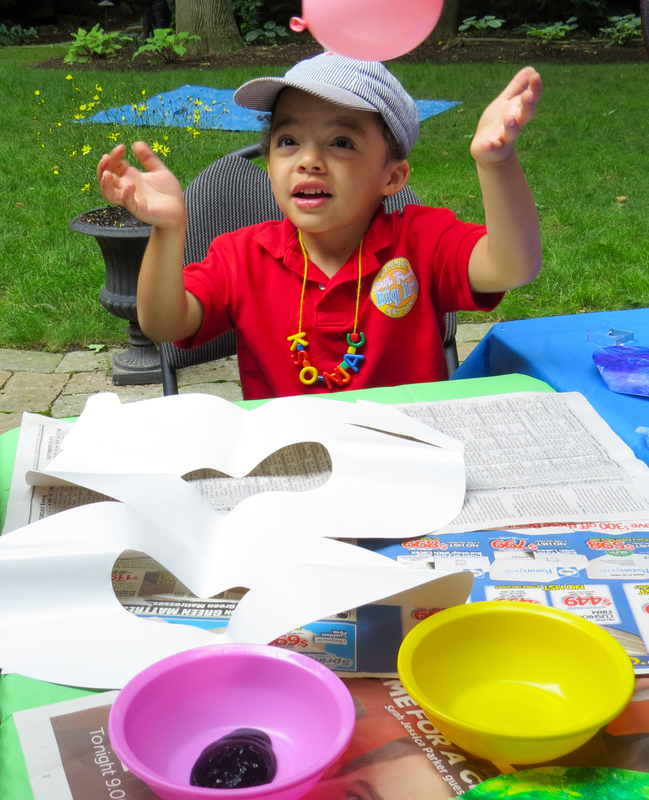 We suggest using our R75423 100 Days of School Finger Paint Paper to do a painting activity! 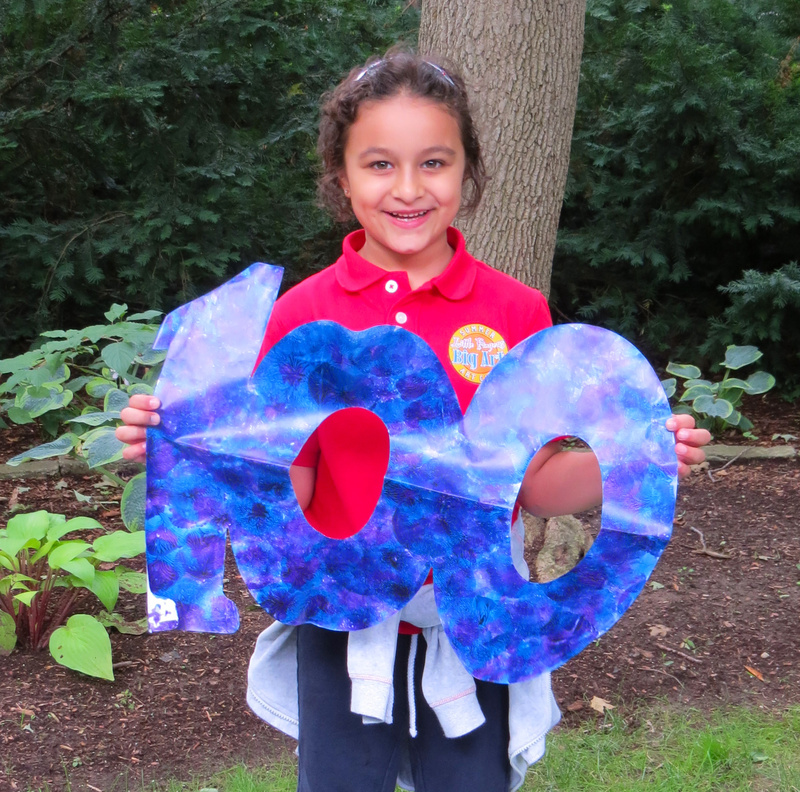 Learning Objectives: Learn about the number 100! Explore the number’s shape. 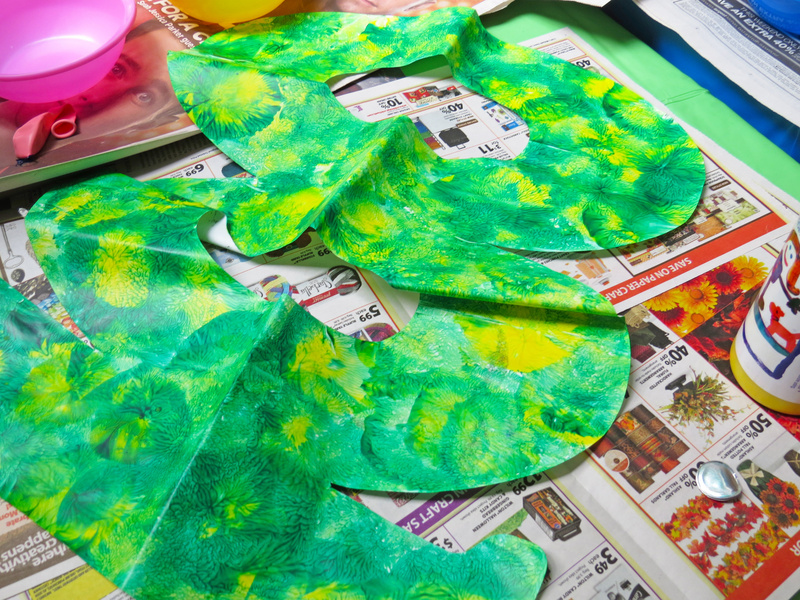 Keep track of the number of paint blots to cover the full surface. Integrate activity into study of numbers up to 100. 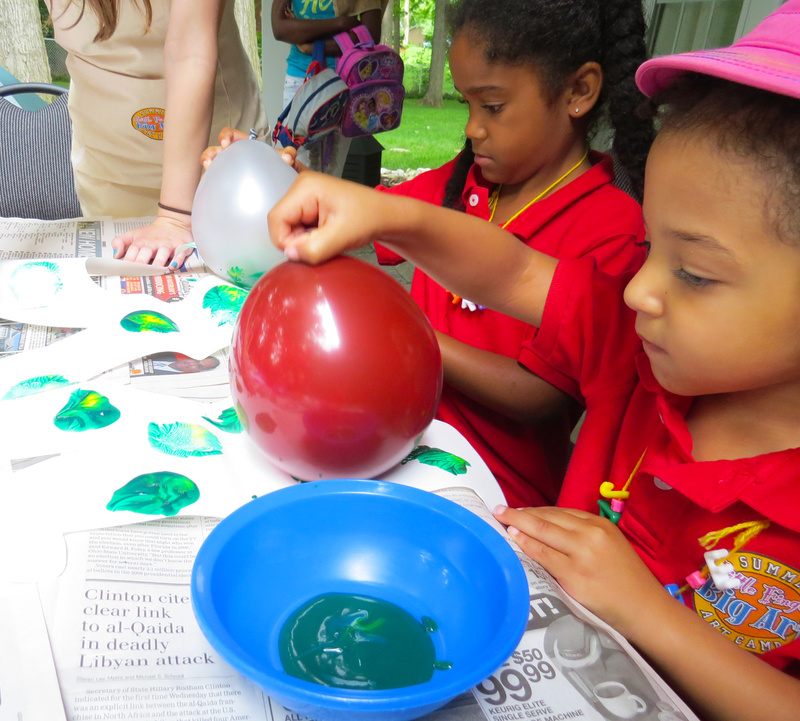 Use fine motor skills to carefully grasp balloon while painting. Cover your workstation with newspapers to prevent paint from making a mess. It’s a good idea to contain all paint in separate paint bowls. That way, there will be less spills to deal with! First, pick two colors of paint you will want to work with. They can be complementary colors, or whatever combination you wish! Squeeze one color into the center of the bowl so it fills the bottom. Now squeeze the second color in the center of the first color, but do not over-pour. You want to create a starburst effect from the two colors. Blow up your balloon with just a small amount of air. Our friends found out that blowing up the balloon all the way made it harder to use. You want just enough air to make it squishy enough for the kids to hold. 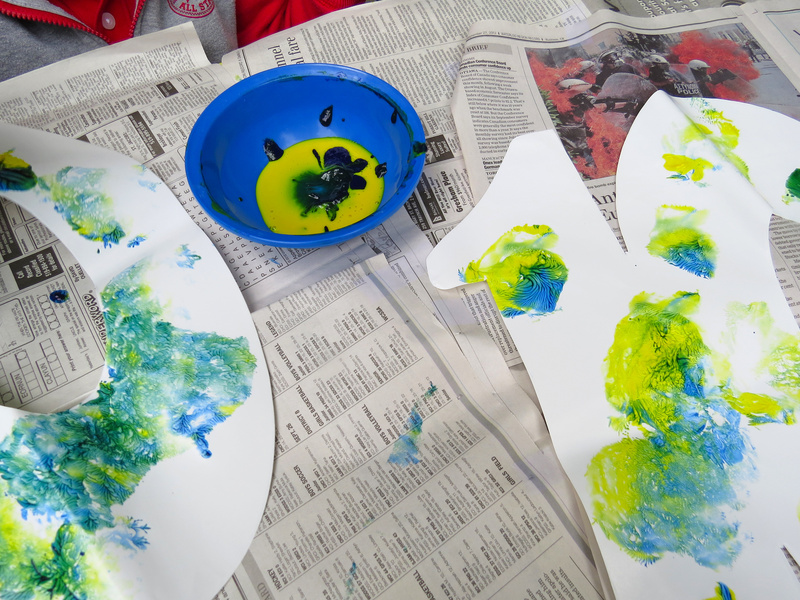 Once you have a good size that can fit into the bowl, dip into the paint and press onto the paper. This will create a really cool paint blot effect! Guide students to keep their blots deliberate and directed straight onto the paper. They can keep paint blotting the image until the entire sheet is covered. 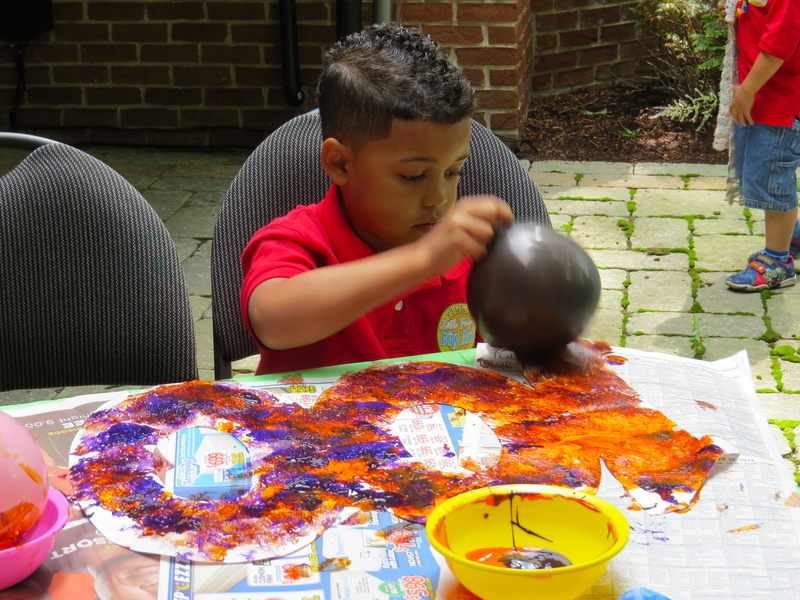 Fingerpaint dries fairly quickly if left out in the sun for a few minutes! What a beautiful effect! You can challenge your students to count to from 1-100 and see how many blots it takes to fill the entire paper. 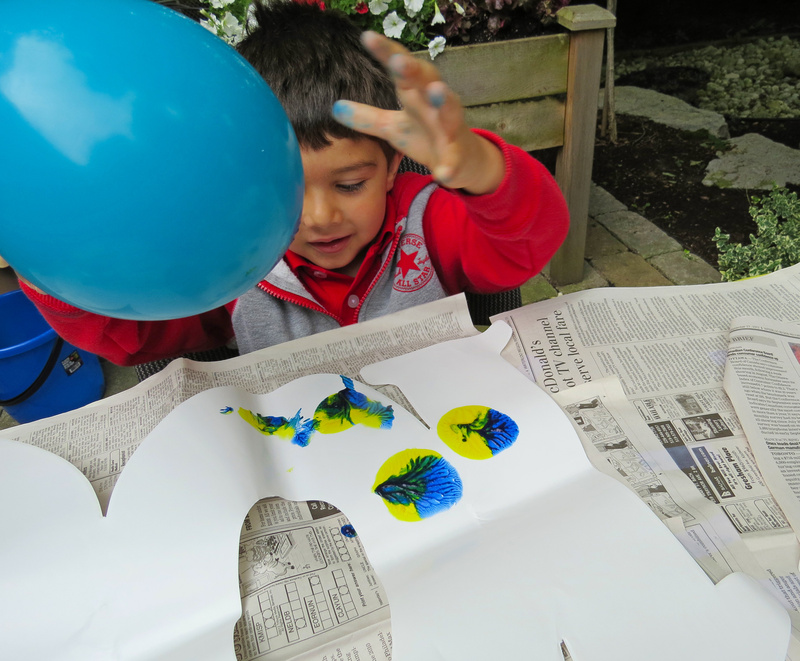 This entry was posted in Art, Math and tagged 100 days of school, 100 days of school fingerpaint paper, 100 school, balloon painting, count to 100, fingerpaint, fingerpaint activities, fingerpaint paper, fun painting activities, paint balloon by roylcoblog. Bookmark the permalink.